Welcome back, folks. It’s just over two weeks to the start of the 2016 World Rally Championship season, which means it’s time to start talking fantasy, and man is there a lot to talk about. Manufactuers are changing, drivers are changing, fantasy rules are... pretty much staying the same. Well someone has to maintain order in this madness, right? For each round you are to pick five drivers, ranked in the order you expect them to finish. No two drivers can be from the same team, though they can be on separate teams run under the same manufacturer. So, for example, you can’t choose Ogier and Latvala, but you can choose Ogier and Mikkelsen, because officially Mikkelsen is on “Volkswagen Motorsport 2.” While the fantasy preview posts typically only make mention of the WRC drivers, all entered drivers are eligible for fantasy competition, be them WRC, WRC2, RGT, etc. You can also sign up for fantasy reminders. Provide me with your Twitter account or email and I’ll let you know when the latest Fantasy Preview post has gone up. At the end of the season your best ten rounds will be counted and your worst four will be dropped. That means if you started late, missed a couple rounds, or managed to have all your picks drive off the same cliff in Portugal it won’t ruin your season. The season standings will be maintained in this Google Spreadsheet. For an idea of what it will look like once the season gets underway here’s the 2015 season spreadsheet. I try to update the fantasy standings within 24 hours of the end of the rally, but may be late some days due to work/travel. I do promise to always have the stats updated by Thursday at the latest. (5) Each fantasy competitors ten best rounds will be counted toward their final season score. That means if a player is forced to miss a couple rounds or simply gets their picks all wrong a few times it won’t necessarily cost them a decent result. Before each rally you pick five drivers. No two drivers can be from the same team. You also pick a driver for the power stage (final stage of the rally). He can be absolutely anyone, including one of the five drivers you already picked. Put your five drivers in the order you think they’ll finish. 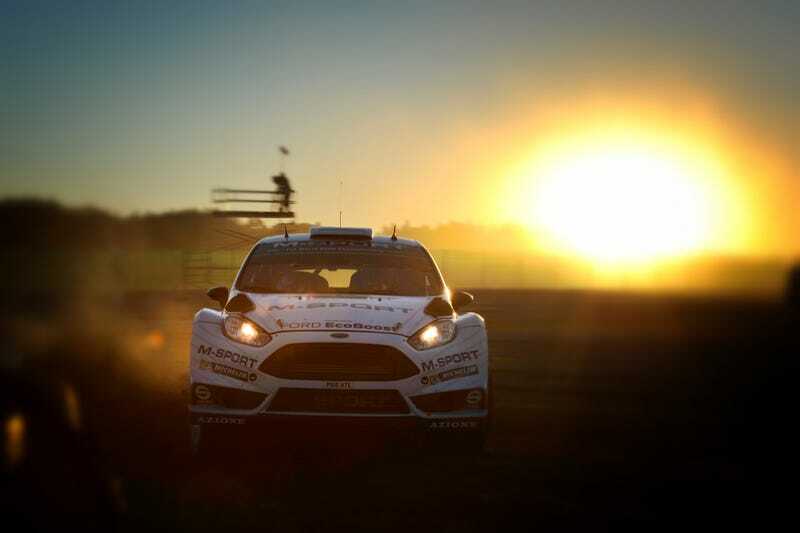 You will receive the number of championship points your driver earns in the rally. Prizes are back! There will be two prize-winners at the end of the season, the overall season champion and the player who scored the most points in a single round. ** Each will get their choice of one of four 1:43 scale model rally cars, with the season champion getting first pick. Due to shipping costs only U.S. and Canadian residents will be eligible for the pictured prizes. Fantasy players outside the U.S./Canada are still eligible for a 1:43 scale model, with the exact model they receive TBD by availability. Here are the prizes on offer this year. The first big change to the season comes with the schedule, as we’ve picked up a new round in China, making the season 14 events instead of 13, and Australia has been moved to the end of the season. Because Wales at the end of November is not a nice place to be. October should prove to be interesting, with three rallies during the month. The other big change is in the teams. There’s been a lot of musical chairs in the off season. Citroen are taking a year off, so they can focus on building the 2017 car (and fulfill their 2016 WTCC sponsor obligation). Abu Dhabi will be running at least a part season effort with most of Factory Citroen’s assets and staff. Meanwhile DMack has decided to step up to becoming a legitimate manufacturer team. As for driver changes, VW stays the same with their stable, Hyundai keeps their same three drivers (Neuville, Sordo, and Paddon) but haven’t announced which of the three will be on the B team yet (prediction: not Paddon), M-Sport dropped both their 2015 drivers in favor of Mads Ostberg and some kid named Eric Camilli, and “Citroen” now has Meeke, Lefebvre, Breen, and Al-Qassimi (though god knows when and where we’ll see any of them). That’s pretty much it. Whether you’re a returning player or a new competitor, thank you for being a part of the 2016 Fantasy WRC season. I’ve had fun putting this on and expanding the program each year. I look forward to destroying you all!